As in many other countries, the proptech scene in Japan is still in its early stages, having begun to expand greatly since 2017. The major impetus for this growth was the fintech boom in Japan, especially the amendment of the Japanese Banking Act regulating Open APIs, enacted in May 2017. This was the result of lobbying efforts by business owners and private companies turning out to councils. Since then, major Japanese banks and fintech startups have been actively initiating work toward building a healthy ecosystem. To get a sense of how the industry is advancing, the Fintech Association of Japan has over 360 corporate members registered and the number at their annual conference reached 1000 people last year. Since the fintech and proptech industries are deeply connected, the proptech sector has followed in fintech's footsteps. Meanwhile, the potential combined market size of the proptech and contech industries is larger than that of fintech, being over 1.8 trillion USD according to the Ministry of Finance. This massive potential has recently come into greater focus. In fact, VCs and major Japanese real estate companies with annual sales exceeding 10 billion USD, such as Mitsubishi Estate Company, Ltd., and Mitsui Fudosan Co, Ltd. are actively investing in proptech startups. Additionally, sharing economy related companies and IPOs have started to appear on the scene. Space Market Co., Ltd., a space sharing company, collects 8.5 billion yen in total through a capital and business alliance with traditional real estate companies and financial institutions, including Tokyo Tatemono --which has been in business for over 120 years. LIFULL, a real estate portal with annual sales around 300 billion yen, made its IPO in 2006, while ITANJI, a real estate management company for B to B business, was successfully acquired by another real estate management company, GA Technologies, which operates a real estate portal and app for existing real estate distribution in order to target Rent 3.0. Additionally, the blockchain consortium for real estate called Aggregate Data Ledger for Real Estate (ADRE) was officially launched last year. It is made up of 7 major companies from varied industries including Zenrin Co. Ltd., a map publisher that covers Google Maps in Japan. Its aim is to build a major Japanese real estate platform by utilizing blockchain. Alongside the cultivation of the sector, the community has flourished. The number of attendees at Proptech Japan’s monthly meetup, the first proptech community in the country, has risen. Currently, the group's membership numbers above 450 professionals, including startups, investors, and government officials. It occasionally holds close meetings between those in the private and public sector so that the direct message of those in the market can influence new regulations in a practical manner. The Japanese proptech scene has just started to become recognized, and its current market size is not that remarkably large. However, needless to say, its growth potential is sizable. It is worth closely watching the industry’s future especially as Japan is enjoying an unprecedented growing market ahead of the upcoming 2020 Tokyo Olympics. 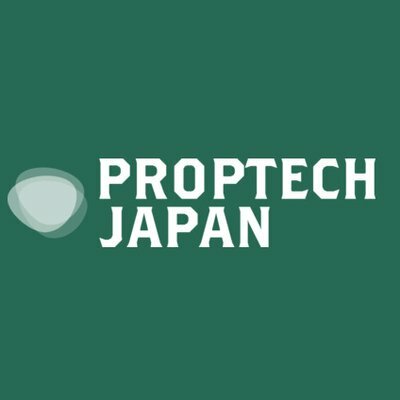 You can meet the PropTech Japan team in our International Zone on May 14th!